A MMO FPP/TPP shooter with RPG and sandbox survival elements, developed by Russian studio Battlestate Games. Players become the members of two rivaling military corporations, fighting on the territory of an abandoned Russian city. 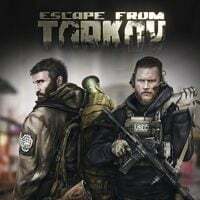 Escape from Tarkov is a FPS/TPS MMO with elements of RPG and survival sandbox, in which players become members of two military corps, fighting each other in the titular Russian city. The game was created by Battlestate Games, a developer from Saint Petersburg, whose employees are not new to the genre, as they previously worked on such famous franchises as S.T.A.L.K.E.R., Mass Effect, and BioShock. The game is set in a devastated Russian city of Tarkov, covering 16 square kilometers, sealed off from the world by forces of the Russian Federation and the United Nations. Players join one of two rivaling military corporations and fight for survival in this seemingly abandoned, although dangerous metropolis. Unlike many other popular MMO shooters, this game is accompanied by an interesting story. Players can engage in numerous special missions, jobs, and riddles that gradually reveal the mysteries of Tarkov. Although the core of the gameplay is competitive team-based multiplayer, the game is not only about shooting. One of the characteristic features of Escape from Tarkov is the freedom to roam about the entire city, interact with non-player characters, and engage in a whole bunch of various activities. You can thus assault enemy bases, perform secret missions (on your own or with friends), or simply explore and collect items that can be exchanged with other players in special locations. What is especially interesting is the game’s extraordinary character progression system, which accumulates several types of experience, depending on what type of activity you are performing. As you progress, you can master over a hundred diverse skills, split into four main categories: physical, cognitive, combat, and practical. The game also offers wide possibilities of weapon modifications and upgrades. A crucial gameplay element is survival. It turns out that the city itself, with its unfriendly conditions and dangers lurking at every turn, is as deadly as enemy mercenaries. Your character can die not only by enemy bullets, but also due to injuries, illnesses, exhaustion, dehydration, or contamination from radioactive substances. This also means that you always need to have enough food, water, medicines, and other essentials in order to survive. The production from Battlestate Games is an online game at its core, focusing on team-based competition for up to 64 players. However, the abundance of extra activities introduces a sandbox character into the game, making it accessible for both PvP enthusiasts and those who prefer to play solo in PvE modes. Escape from Tarkov, released on PC, stands out from the crowd with its photorealistic graphics achieved with a modern 3D scanning technology of real-life locations (also used in Get Even, a game by Polish developer The Farm 51). The developers put great emphasis on realism of gameplay, evident in such things as accurate bullets ballistics, a full procedural effect system, absolute control of movement, interaction with environment, and advanced weapon and character customization. Expectations: 9.1 / 10 calculated out of 1295 players' votes.